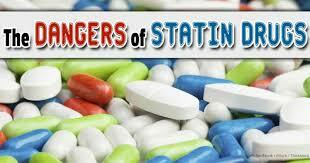 Controversy over the use of statin drugs is nothing new. The FDA acknowledges that these agents increase risk for development of type 2 diabetes (such as was shown in the METSIM cohort), possibly due to inhibition of protein prenylation, an important step in proper insulin secretion from pancreatic beta cells. This is alarming, considering statins are often prescribed in lock-step with a diagnosis of type 2 diabetes, owing to the cardiovascular complications that typically result from this condition. If statins come with a risk for elevated blood sugar—and Mayo Clinic informs the public that they do—then it seems counterproductive for patients trying to lower chronically elevated blood sugar to take a drug that does the opposite. So if the point of statin drugs is to reduce serum cholesterol levels in order to protect cardiovascular health, but statins don’t always do this—and may, in fact, exacerbate existing damage and trigger new pathologies—then why are they still so widely prescribed? 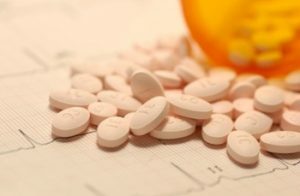 Other alarming “side effects” of statins Mayo Clinic and FDA cite are cognitive impairment, confusion, fuzzy thinking, memory loss and forgetfulness that “span all statin products and all age groups.” FDA acknowledges that “the symptoms were not serious and were reversible within a few weeks after the patient stopped using the statin” – but how often do physicians advise patients to discontinue statin use? The potential neurological and cognitive effects of statins are especially troubling considering that higher cholesterol later in life is associated with reduced risk for dementia. Older individuals with higher serum cholesterol have better cognitive function than those with lower cholesterol, leading researchers to write, “low cholesterol may serve [as] a clinical indicator of risk for cognitive impairment in the elderly.” This seeming “paradox” or “reverse epidemiology” is not limited to cognitive function. High LDL-C is inversely associated with mortality in most people over 60 years, which has researchers questioning the validity of the cholesterol hypothesis overall, and calling for a re-evaluation of guidelines that recommend reduction of LDL-C in the elderly. After decades of low fat diets and demonization of dietary fat, we now understand that the “French paradox” and “Spanish paradox” aren’t paradoxes, and that fat—including saturated fat—is not anathema to good health. So perhaps higher cholesterol being protective later in life is not a paradox at all, nor is it “reverse epidemiology.” Maybe we have simply been very wrong about cholesterol all along—at least in some ways. This is not intended as an across-the-board condemnation of statin drugs. These medications may be warranted in some cases and there are patient groups for which they may be beneficial. But the increasingly worrisome “side effects” – which are not really side effects at all, but are direct consequences of disrupting the mevalonate pathway – warrant exercising caution with the prescription pad. If it’s determined—if—that a patient’s cholesterol level is directly harmful to their health, there are alternative methods to lower it that are free of the problematic aspects of statins.